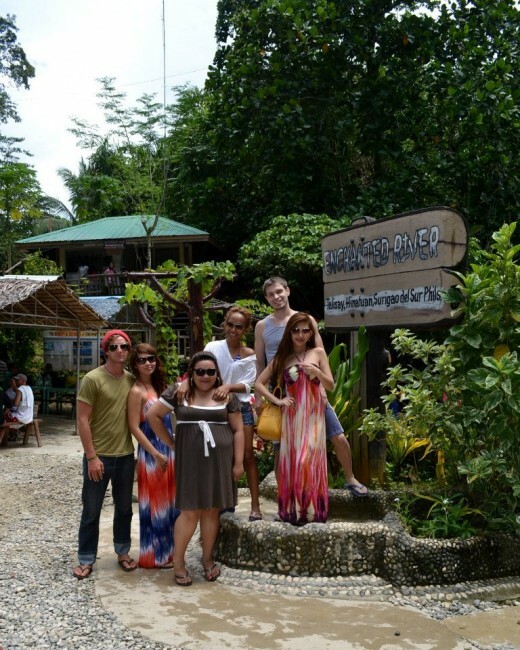 This weekend, we took a trip to Enchanted River and Tinuan Falls. 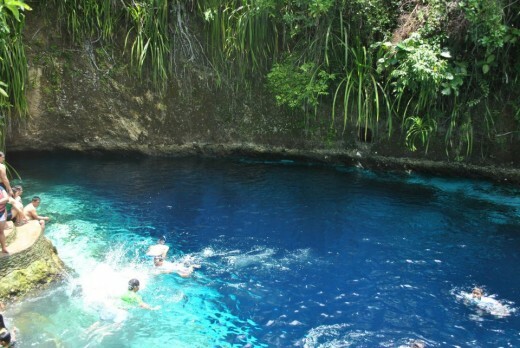 Enchanted River is a river in Hinatuan, Surigao Del Sur (Northern Mindano) which is considered to be one of the most beautiful places in Mindano. 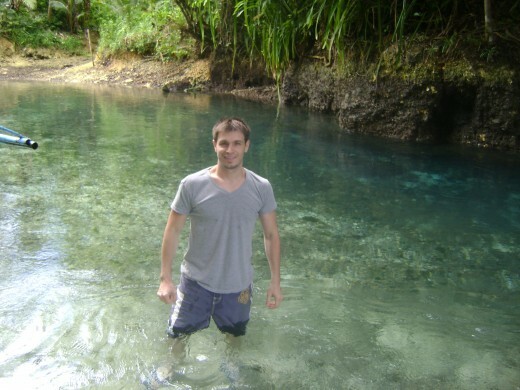 The River starts somewhere in a cave below and runs less than half a kilometer into the sea. Being somewhat true to the name, the river (especially where it begins in the first 30 or so meters) looks completely fascinating with it's majestic looking blue water. When you look into the water, it looks almost as if you're looking into a picture which has been augmented using about every possible photo enhancement technique available. It truly is both beautiful and enchanting. We left from Davao City at about 5:30am in a private van (there are vans available that head up there from some of the malls). The drive took roughly 4 and a half hours with our speedy driver. We swam for a good few hours. 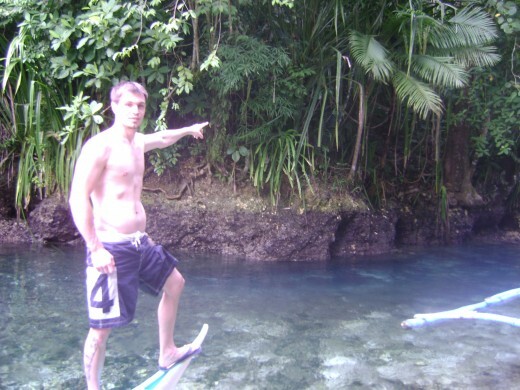 One thing that you must do is bring goggles or snorkeling gear so that you can look down into the water and see the fish and you will see that the river (somewhat of a small lake area at the start where people swim) seems to be somewhat bottomless. I heard that divers tried to reach the bottom but didn't succeed. For those who can't swim, they offer life jackets and there is food available (mostly fish, crabs, rice, etc.) along the stores at the entrance. The entrance was 55 pesos per person (roughly $1.25 or 1 Euro.). After a few hours of swimming and photos, we decided to go find the "floating hotel" that we were staying at where we would have our lunch. We bought three fish and a kilo of rice from the local venders along the road fronting the river entrance. 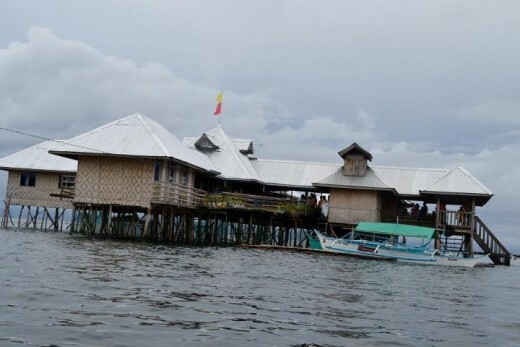 So, we were doing an overnight trip to Surigao and because of our last minute booking, we ended up with floating cottages on the sea. This option actually turned out to be quite amazing. For one, each room (while very small) was only 300 php (about $7), but was all we needed. 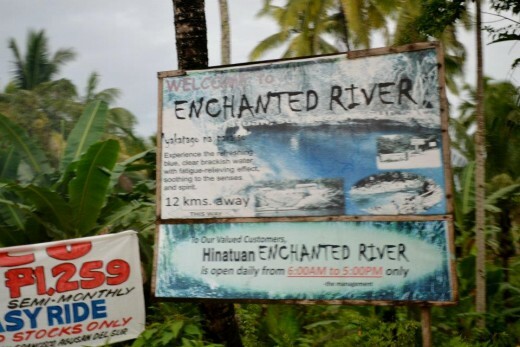 The access is by small boats only which are just a few minutes drive up the road from Enchanted Rivers. The one we stayed at had electricity, a ktv room, full kitchen service and even a small store with all drinks and food items. The floating cottage we stayed at approaching from the boat. Entering Floating River By Boat And "White Sand Beach"
Later in the afternoon, we left the cottages and entered the Enchanted River by boat. We didn't know how long it was. We had only been in the somewhat commercialized swimming area so we decided to go from the sea. It was a lot shorter than we imagined, but it was cool. The current was strong and the water very cool. At one point, I tried to cross and got swept about 50 meters down and caught onto someone's boat to stabilize myself. 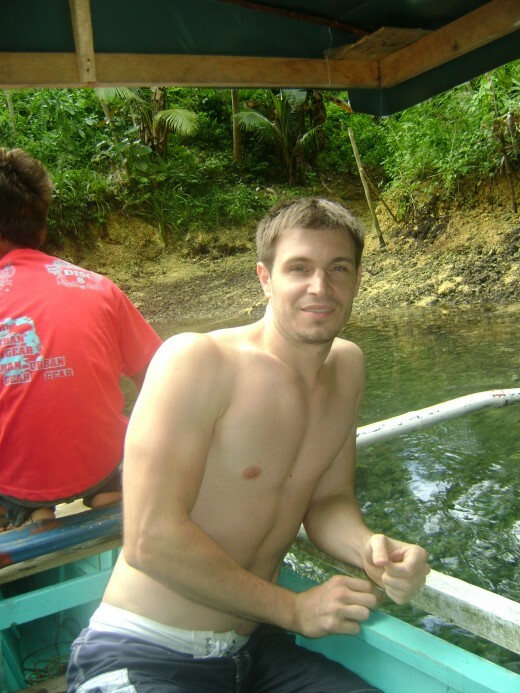 We took some more photos and then asked the boat crews to take us to the area they called "white sand beach". 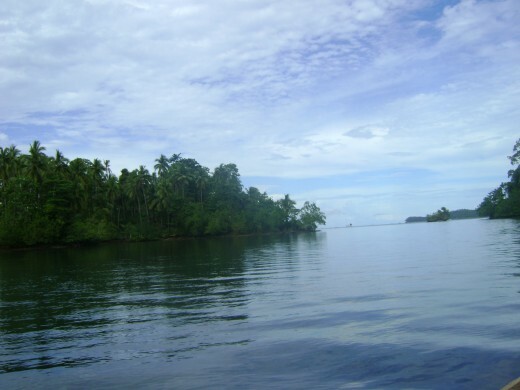 As we approached, it was somewhat low tide, and since the boat was going so slow, we stopped about 100 meters in the water and walked to shore. 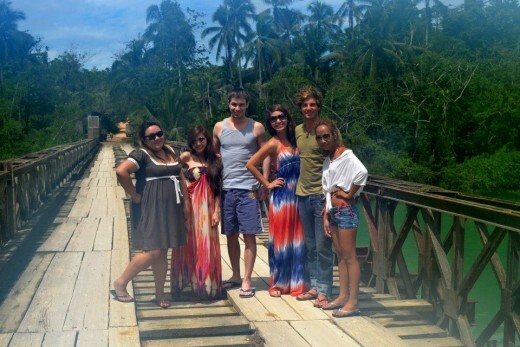 We bought buko juice (coconuts) from the people there (20 php each - about .45 cents) and hung out on the beach. Some of us played beach volleyball with some locals that were there. We took some photos of course on the beach. We then went out a few hundred meters in the ocean with the boats and swam (water was about chest high) for about an hour or so. 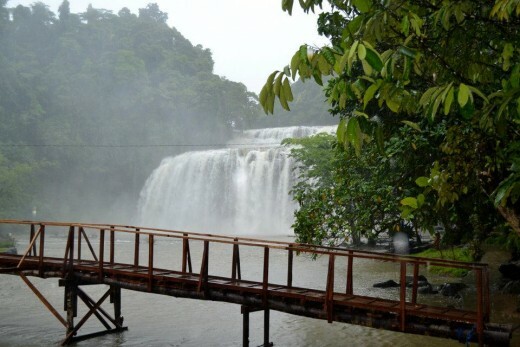 And on the last part of our trip, we went to Tinuy-an Falls. 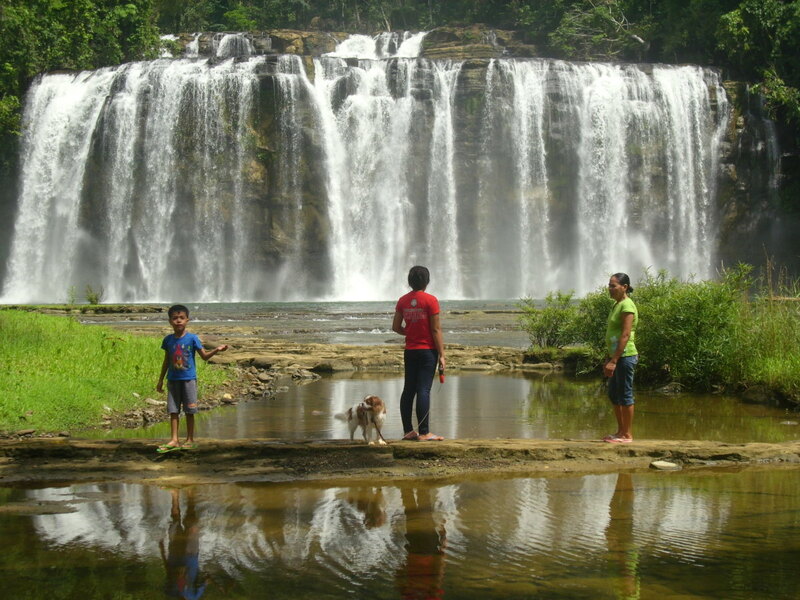 This is about an hour and a half hours from Enchanted River in Bislig, Surigao del Sur. As you will see in the photos, it was a rainy morning, but we managed to have fun anyway. 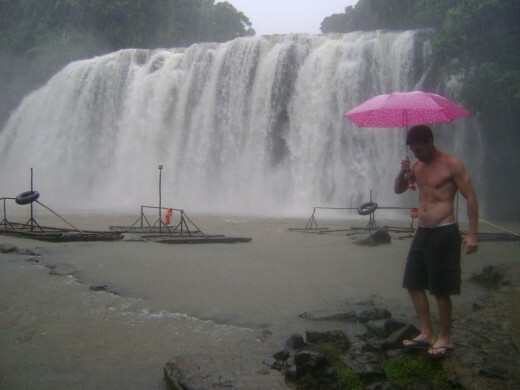 You will also see that I could only secure a pink umbrella which one of the tourism staff at the front loaned to me. 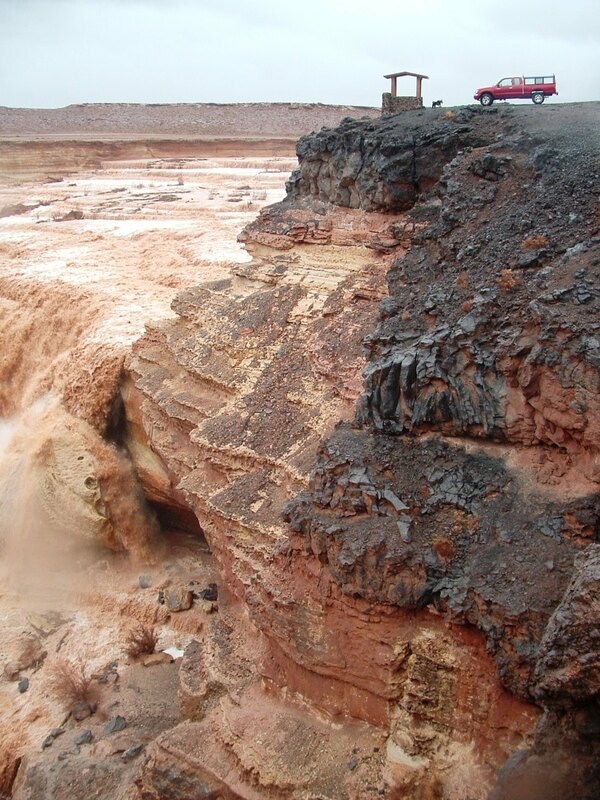 As it had rained pretty hard, the water was somewhat brown from the mud flow. 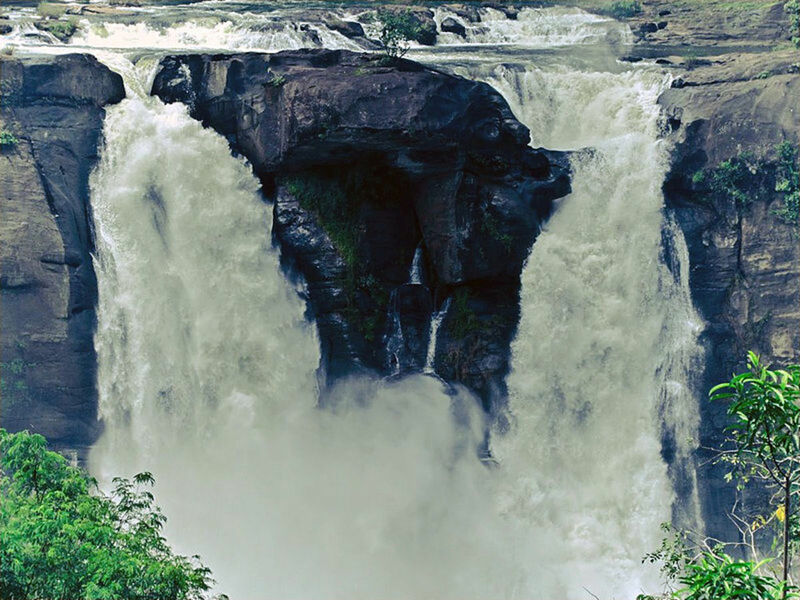 But the falls were still amazing looking and for sure worth seeing. You can actually take rafts out and "massage" your shoulders under the falls. Because of the rain and the cold, we didn't do this. 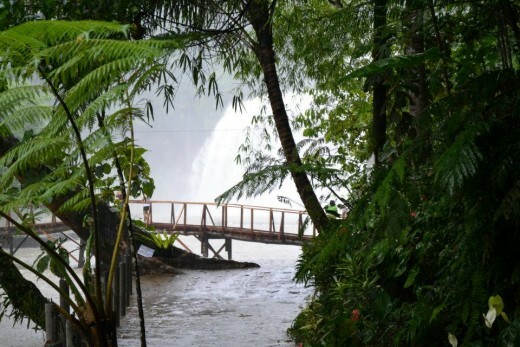 You can also take stairs to the top of the falls which is pretty cool. 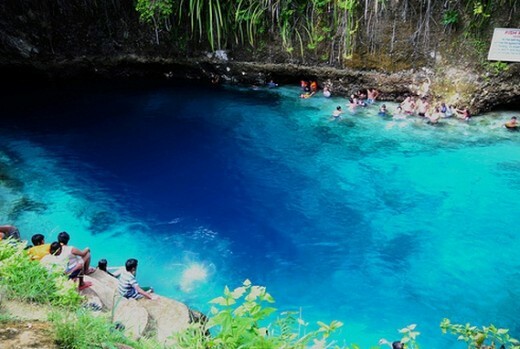 My family and I will be going to Hinuatan Enchanted River during our trip to Davao City, despite it being more than a few hours away. It looks amazing! Breathtaking, really. 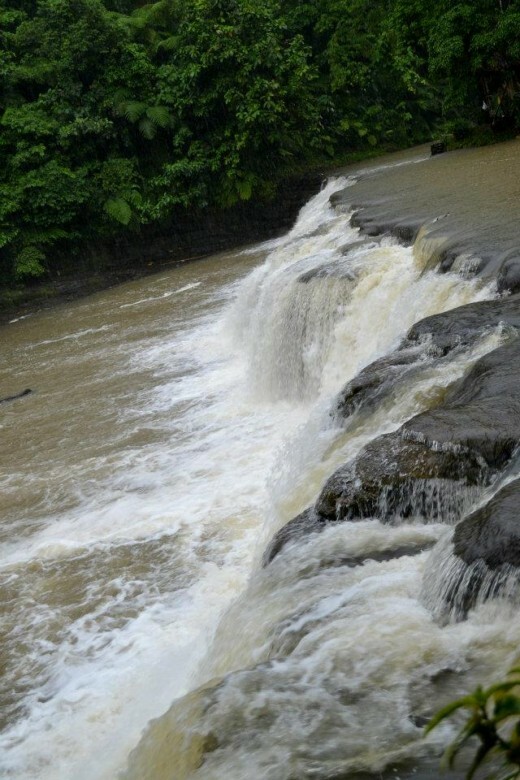 Is Tinuan Falls the closest waterfalls to Hinatuan? Marietta, No joke they have cottages on the sea which had a fullsize bed. It cost 300 php per night which is basically $7.50 US a night. Super cheap. It's on the sea so no mosquitoes and a cool breeze. No air con was even needed. Jill of all trades - sorry for the late response. Yes, it's amazing there. Wow!!! This looks like a fantastic place! 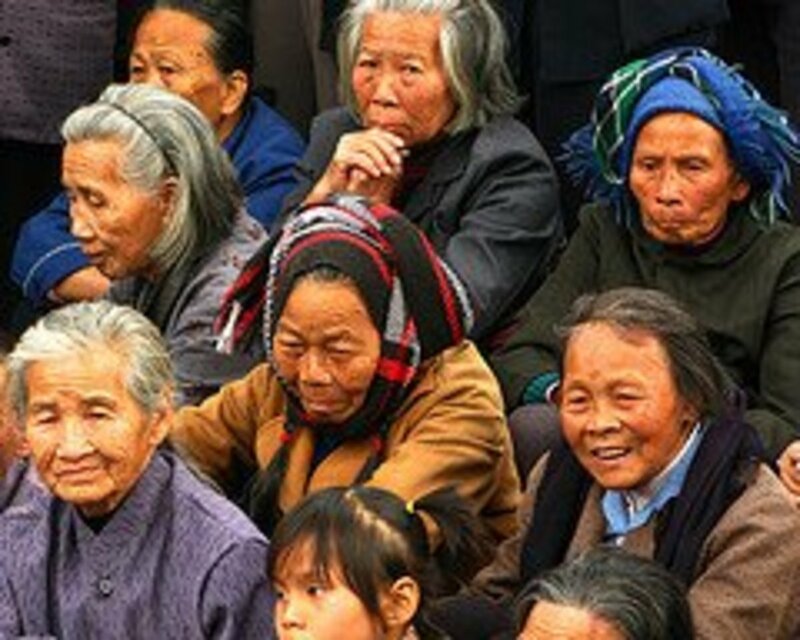 I should plan to visit this one of these days! 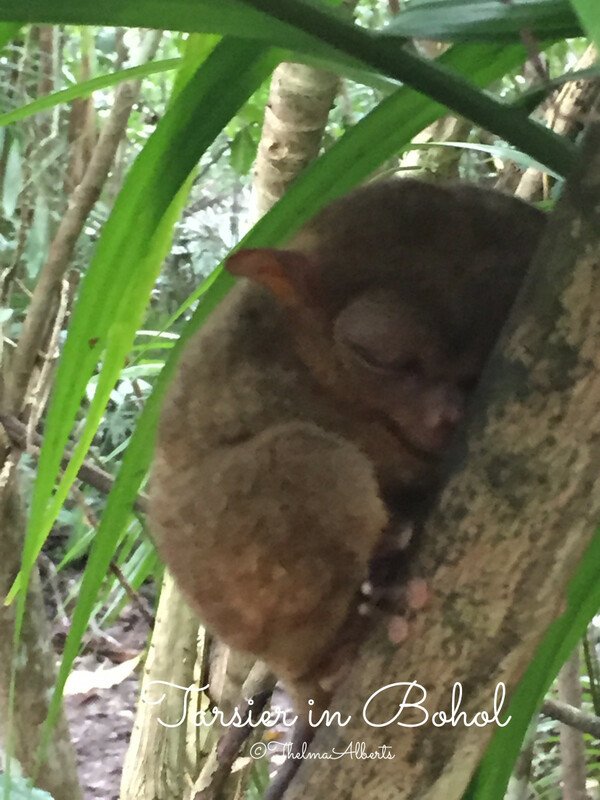 It's great to know that you are visiting here in the Philippines! It looks like an awesome place to get away for a while.